The ibis budget Orange hotel team welcomes you! Ideally located at the Orange Centre exit of the A7 highway (Autoroute du Soleil), our hotel offers quick access for visiting the city of the Chorégies opera festival and its grand Roman Theater on foot. 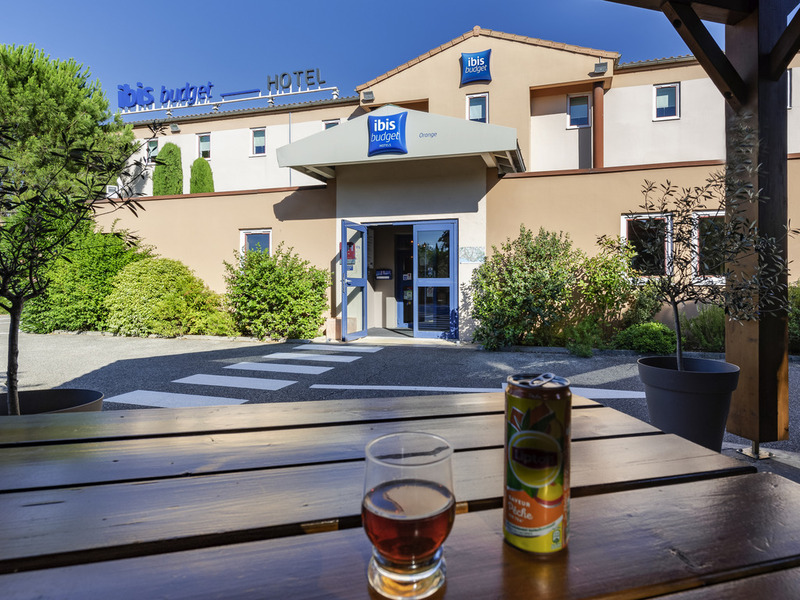 At the gates of Provence, the ibis budget Orange Centre a 10 minute walk from the city center and its Ancient Theatre. Ideal for your leisure or business trips, come and discover its modern rooms and new Sweet Bed linens. There is a private bathroom equipped with a shower, washbasin and a toilet; unlimited WiFi and closed parking. Just an overnight stop. Was a good hotel. Very happy and would like to visit orange again. Friendly and efficient staff, good explanation of local sights, simple room but that was expected. Clean and tidy. No frills for a low price. This Ibis is ideal for avoidance of unnecessary town driving as it is near the autoroute toll booths. You get what you pay for with Ibis Budget but unfortunately this often does not include a plug for the wash basin or a proper dropped kerb at the entrance to the car park. This latter is particularly irritating for the rider of a fully laden motorcycle. Short stay but it was enjoyable. The hotel is close to everything, just next o the motorway and close to the city centre which is great to visit the city. Plus the possibilty to park car just in front of the hotel is definitely a plus. I sent over 10 e-mail massages to Hotel and not received any answer ! I asked about contact with GM and not received any answer again!! Ugly staff with dirty rooms . Newer stay there ! Very bad. we wanted to stay at the other IBIS hotel and by mistake got booked at the Budget Ibis where the room was terrible, much too small for THREE people???? No elevator, is that allowed even??? We were two squeezed in that bed with another bed over our head, never had a worse hotel! Even if it was cheap, it should be a little more expensive and a little more comfortable!! sorry! The hotel is convenient and well acces. Rooms are correct. I had a problem that was not about the hotel and the director was very helpful and attentive. The room was what was needed for a night's sleep--basic, but good. There was no hot water when I wanted to shower, but five minutes later my husband's shower was fine. We had trouble with temperature control--overly warm. We also had trouble with spotty wi-fi. The stay has been satisfactory and the treatment with the very correct staff. Not all ibis budgets are equal. This hotel is the nicest budget we stay in. We like having only a double bed and a separate bathroom. The person at the reception was extremely helpful and nice. The rooms were clean, new and everything worked.